All the lactating ladies, put ya hands up! (Beyonce’s new hit single, coming soon!) 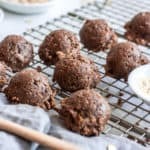 I’ve made no-bake lactation cookies with fenugreek and brewer’s yeast that actually work! And they’re vegan and gluten-free, so they should fit with most dietary restrictions. 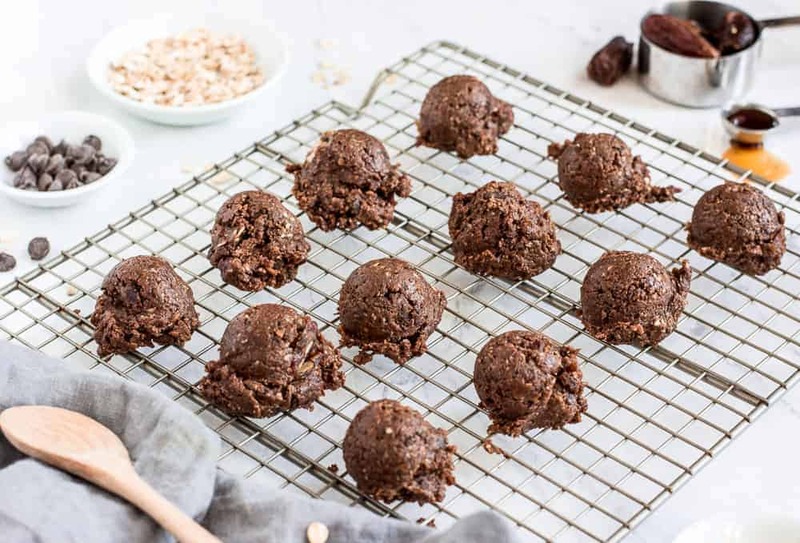 How long does it take for no-bake lactation cookies to increase milk supply? My Instagram DM list is miles long with multiple conversations around this issue. I’ve been informed that is takes three to four days to see an adjustment in your milk supply. But, hey! Eating these cookies can help with the stress! I know! Take a bath while eating them. In candlelight. Throw some Enya on for good measure. Also, my pediatrician suggested taking fenugreek, along with all the other tips I already suggested. It’s been scientifically proven in studies to boost milk supply up to 30%. If you have hypothyroidism, it is recommended that you do not use fenugreek to boost milk supply. It has been shown in studies to decrease thyroid hormone production. That means it will not increase your milk supply, and could actually do the opposite! To overcome this obstacle and still make these cookies, simply omit the fenugreek in this recipe, because it is still full of other ingredients that are shown to boost milk supply. You could also swap in moringa leaf powder, but the taste is a little strong. What do no-bake lactation cookies with fenugreek and brewer’s yeast taste like, though? ALSO. It’s important you use a good quality brewer’s yeast. I purchased this brand and think it’s one of the best brands available. 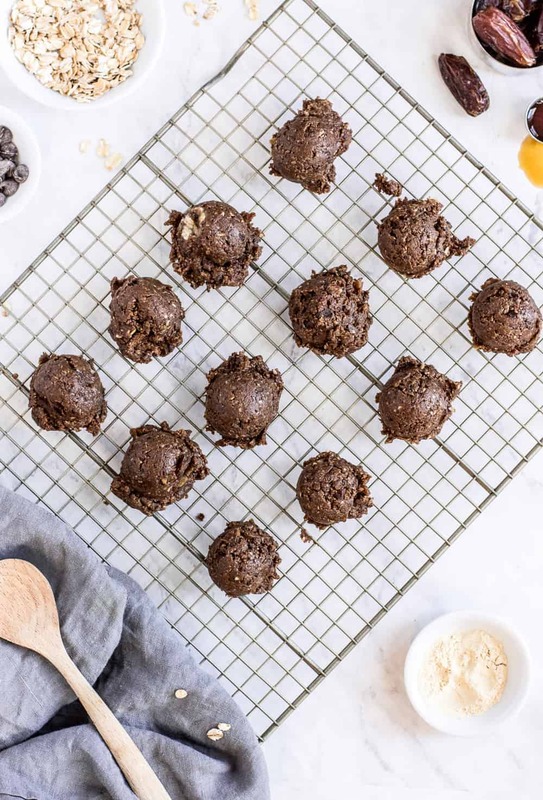 These no-bake lactation cookies with fenugreek and brewer’s yeast are made to actually improve your milk supply. When you spend your precious cash monies on supplements to get the milk flowing, we better get the results! Ya feel me? These bites do the trick. Which reminds me of my all-time favorite quote in the history of ever! When my husband starts complaining about his body hurting, I always make a point to recite this quote to him. Especially when I’ve been pregnant. I KNOW you feel me on this one. 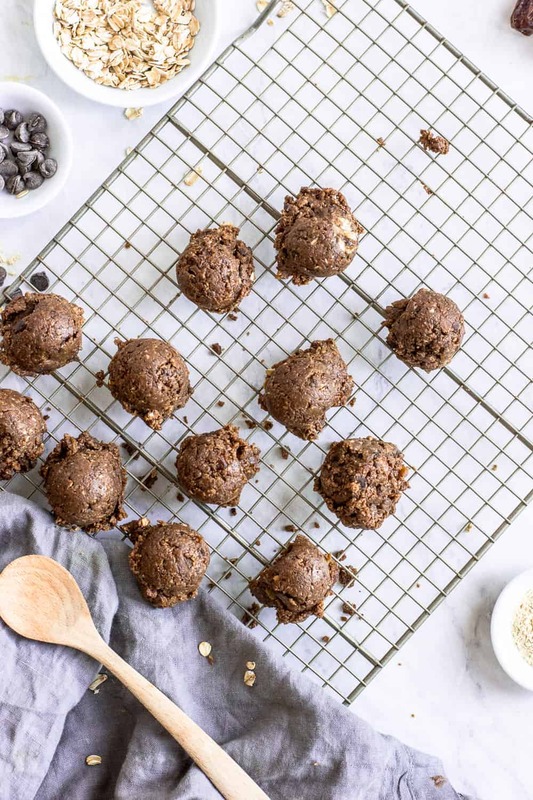 So, do these no-bake lactation cookies taste good? Yes! Within reason. They are not terrible! I found that giving them an overnight chill helps even out the flavors. Honestly, they taste rather good considering they are loaded with ample servings of fenugreek and brewer’s yeast. They simply have a bit of a yeasty aftertaste to them, which is to be expected. But! I made sure to add in chocolate chips, dates, maple syrup, vanilla, and cinnamon to make these sweet and chocolatey. See, they are full of goodies, too! 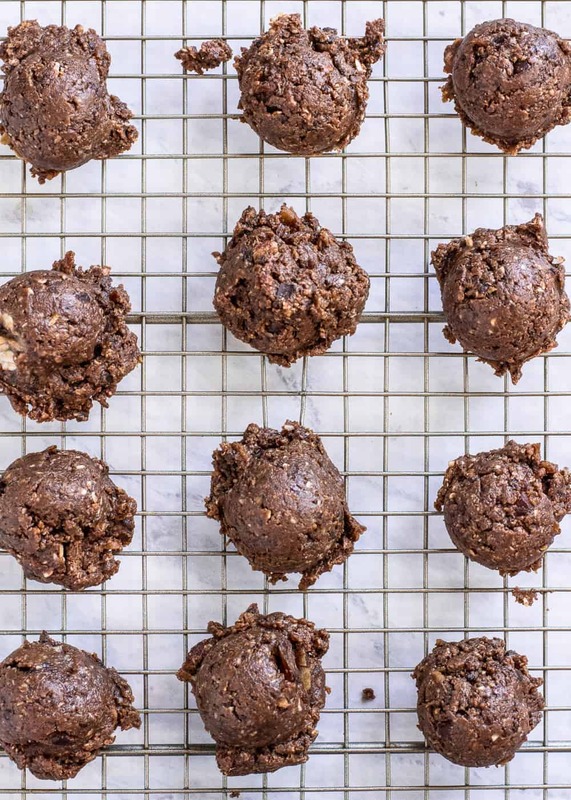 Go make these no-bake lactation cookies with fenugreek if you need a milk supply boost! They’ll do the trick. Grab the recipe below! 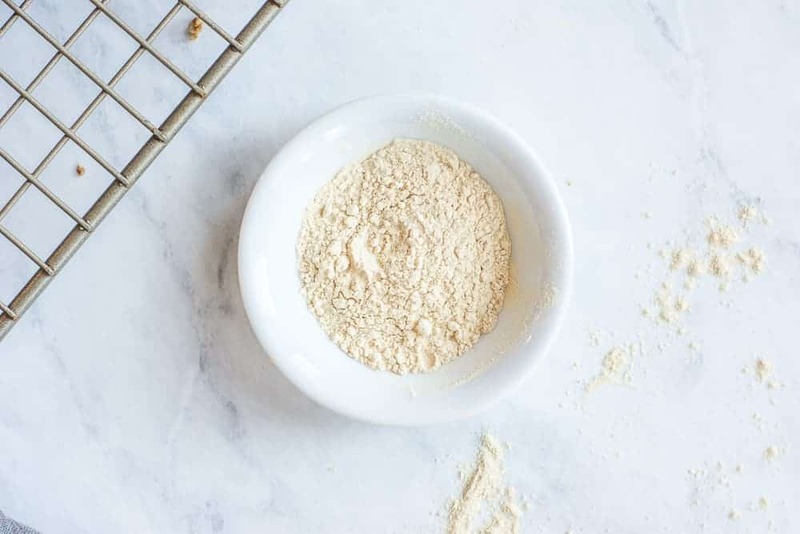 The most effective no-bake lactation cookies with fenugreek and brewer's yeast. They will help increase your milk supply and are vegan and gluten-free. Add the maple syrup, coconut oil, and peanut butter to a food processor. Add in dates and blend until chopped. Add in oatmeal, flaxseed, chia seeds, brewer's yeast. Break fenugreek capsules and add in powder. Add in chocolate chips, cinnamon, and vanilla. Pulse to blend until mixed and the dough pulls together. Use a small cookie scoop to form them into drop-sized cookies. You can eat them immediately, but for best results, place in a sealed container and chill one hour or overnight. Snack on them as needed to boost milk supply! Thank you for posting this! Super tasty for this type of needed food : ) Easy to make and came out beautifully. 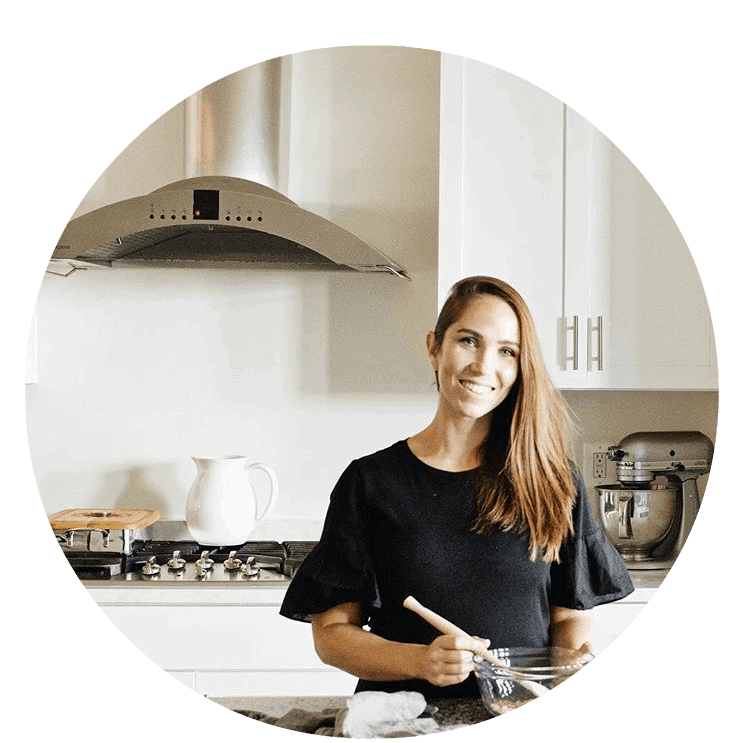 Do you have any other milk making recipes? Any magic muffins that help? I have fenugreek powder not capsules. How much powder would 5 capsules be? Hey Christy! That would be approximately 2 teaspoons. How many of these a day can you eat? Or do you eat them with each feeding/pumping session and how many? That’s up to you! I would usually eat 2-3 over the course of a whole day. Good snack for extra calories and those nutrients to help boost your milk!